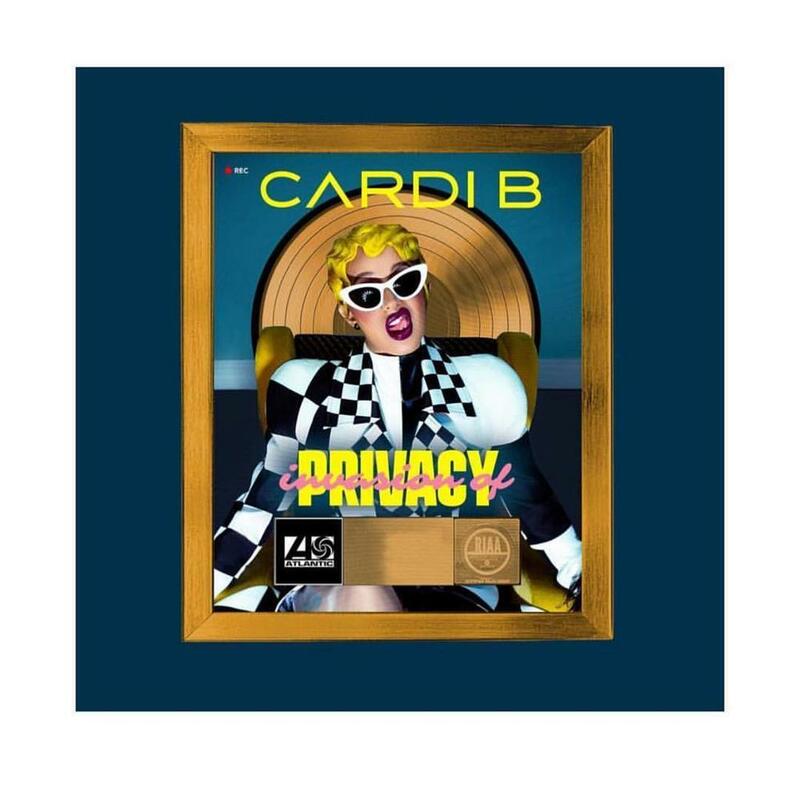 Cardi B’s debut album, Invasion of Privacy was released on Friday 6th April and is already eligible for a gold certification according to the RIAA! This is all thanks to her hit single Bodak Yellow which was released last year and was certified 5x multi-platinum in September 2017. That being so, the Chart Data states that 10 track units is the equivalent of one album sale, which means that her No. 1 single, which is on her album, has already sold 500,000 units, making it gold status. Although, Bodak Yellow is boosting Cardi’s new album, its past units will reportedly not go towards her first week sales. There is still a lot to celebrate, however. In addition to the Gold certification, it was recently announced that her second single Bartier Cardi has gone platinum, reaching no. 14 on the Billboard Hot 100 list. The new album includes her pre-released singles: Bodak Yellow, Bartier Cardi, Be Careful, and Drip. It also features appearances from Kehlani, Chance the Rapper, YG, Bad Bunny, J Balvin, SZA, and more.